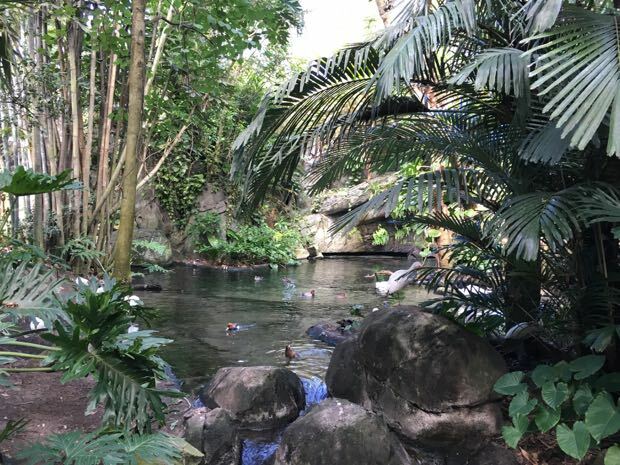 There is no finer way to introduce you to Disney's Animal Kingdom than through the lush tropical landscape of the Oasis. As you stroll through this walk-through area, take note of the animal paw imprints on the cane lamp post-lined pathways. 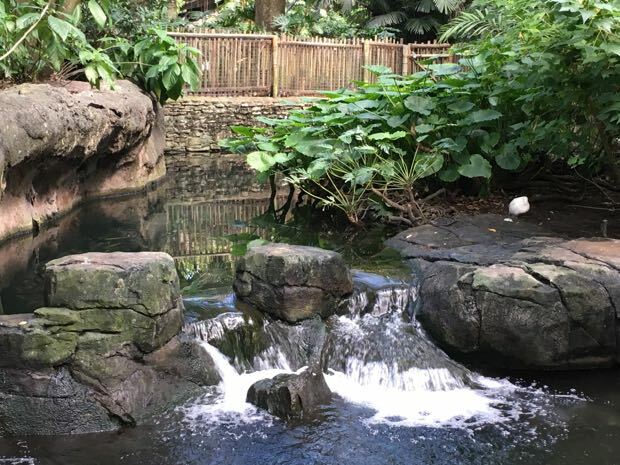 This serene area truly is an oasis and features a canopy of tropical plants and trees, a small waterfall and a pond that houses brightly colored flamingos. 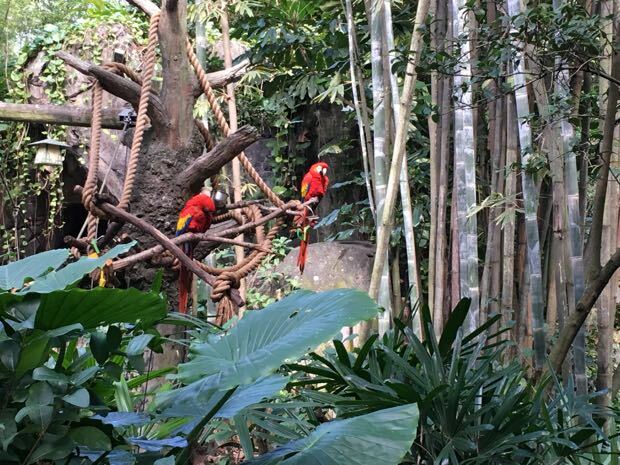 Viewing areas are dotted amidst the lush landscape where you can see a giant anteater, a two-toed sloth, wallabies, tree kangaroos and exotic birds. Cast members are nearby to assist guests with questions about the wildlife here. Take a close look at your surroundings, while the animals and plants are real, the rocks are synthetic, as are the termite mounds that will often hide water feeders for birds. 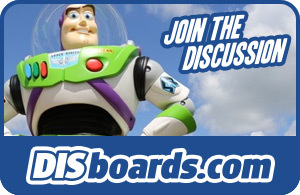 These are more examples of Disney's goal to appear authentic, and yet remain functional. Prior to entering the gates of Disney's Animal Kingdom, you will see a large building with a waterfall cascading over the side. Inside this impressive structure, you'll find an entertaining dining experience at the Rainforest Café. Here you'll encounter a feast of sights, sounds and smells. 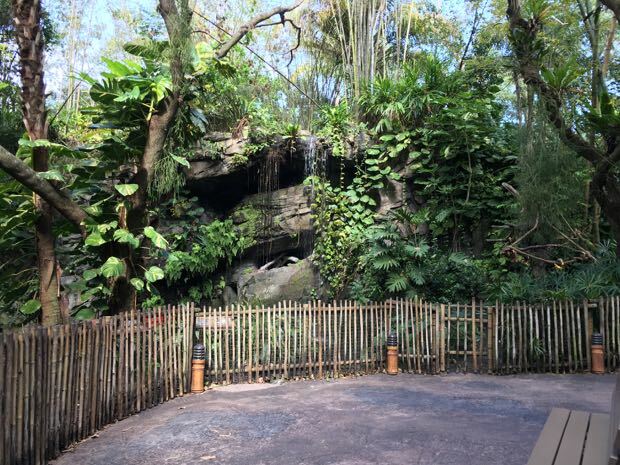 This includes being part of a tropical thunderstorm and observing Audio-Animatronic wildlife. You can watch the giant butterflies flap their wings, the mother and baby elephant wave their ears and trumpet and the watchful cheetah perched on a branch swinging his tail. As a curious gorilla looks side to side, a monkey hangs on a vine and a crocodile opens his massive jaws to show his impressive dental work. A 3500-gallon aquarium displays brightly colored tropical fish. In addition to the entertaining surroundings, guests can satisfy their hunger with delicious pasta, chicken, meat and seafood dishes. The full service Rainforest Café is open for breakfast, lunch and dinner and priority seating is recommended.